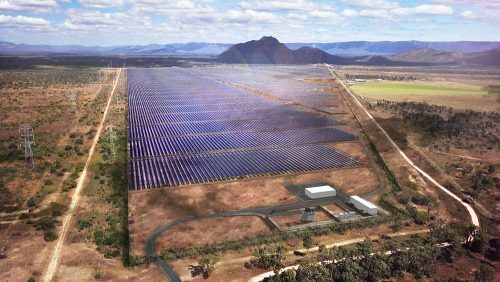 The $202 million, 148MW Ross River Solar Farm in Kelso, near Townsville in North Queensland is currently under construction. It’s the largest operating single stage solar farm in Australia and will comprise of 413,000 solar panels on single axis tracking systems. The solar farm reached a financial close last May under Palisade Investment Partners and ESCO Pacific. Built on a disused mango farm over 202 hectares in a rural residential area near Ross Dam, it received DA (Development Approval) from the Townsville City Council in June 2016 (you can see the Town Planning Report they submitted by clicking here). They’ve signed a 13-year power purchase agreement with EnergyAustralia – with a new buried cable 132kV transmission line to connect the project to the Ross River Bulk Supply Substation being run to help facilitate the PPA. The project is funded via equity from the Palisade Renewable Energy Fund and three of Palisade’s clients, the Clean Energy Finance Corporation (CEFC), VicSuper and HESTA. According to an article from the Toowomba Chronicle, up to 250 North Queensland solar jobs are being created through this project. Downer Utilities, part of the listed Downer Group, is the lead construction contractor and you can click here to see their current solar job listings if you’re interested in joining the project. 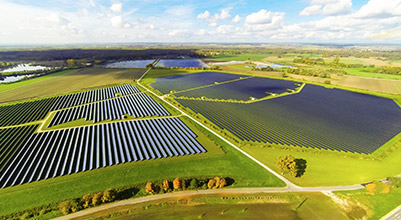 The Ross River solar farm is set for completion later this year and is expected to operate for up to 40 years. We’ll keep you updated with any interesting developments we hear about it.